Yamaha is a giant corporation uniting many different concerns. One of the industries of the company Yamaha - the production of boats and yachts. 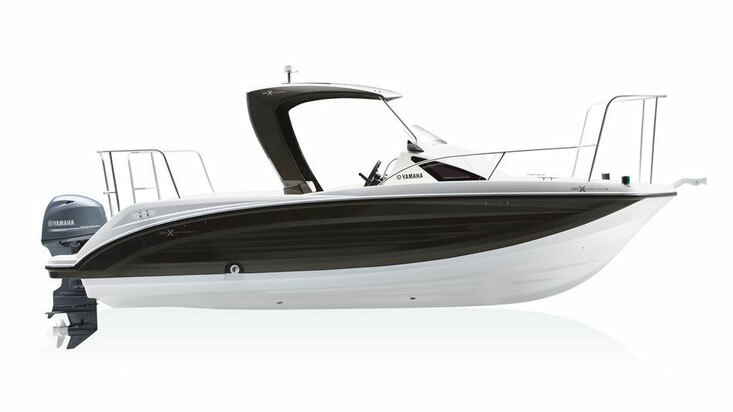 Yamaha boats are distinguished by balanced technical characteristics, improved seaworthiness and reliability. A wide choice of fishing and sports boats allows each buyer to make the best choice, and the addition of a Yamaha boat with the motor of the same brand will only multiply the positive qualities of the vessel. Yamaha Boats first saw the light in 1967. Over the past decades, the company's engineers have accumulated vast experience. As a result of this, these days, the company delivers magnificent boats to the conveyors, the design of which combines unsurpassed driving performance with the highest level of comfort. Fans of water recreation have long celebrated Yamaha products, among others, as the most satisfying to even the most fastidious customer. Fans of water recreation have long noted Yamaha products, among others, as the most satisfying to the requirements of even the most fastidious customer. This is confirmed by the excellent level of sales - the number of Yamaha boat engines and boats produced and sold during the existence of the company is already approaching ten million. This fact is better than any award in favor of the high quality products of Yamaha Boats. Reliable water jet engines, innovative hull form, high-quality finishing materials, well-designed room layout, modern design and, of course, Yamaha brand acoustics will not leave indifferent any connoisseur of water travel.